Accurate STEPBible data is now freely available. Tyndale House has decided to release their STEPBible data on a more flexible public licence to make it easier for other free Bible projects to build on accurate information about the Bible text. Inaccurate data can lead to errors and public humiliation – as I’ll describe below. The data behind STEPBible originated with the usual free sources that many enthusiasts have assembled in the past – to whom everone owes huge gratitude. At Tyndale House we set ourselves to test everything and improve its quality, and then feed this back into the community. The Repository of this updated data is on Github at Tyndale.github.io/STEPBible-Data, where anyone can inspect it, suggest corrections, and also download it for their own projects. The licence (Creative Commons BY-NC 4.0) allows anyone to use and adapt the data to fit their project. They can also make corrections, though changes should be recorded for users to see, and we’d prefer they check with Tyndale House first, so our experts can verify it. Tyndale House previously posted this data with a “No Development” (ND) restriction, to help ensure the data remains accurate, but this imposed a difficult legal restriction for some projects, so we are using this different strategy. Bodies such as the SBL Biblical Humanities Group have campaigned for Bible data to be more open, so that anyone can use it freely, with less duplication of effort, and to encourage the spread of good research. In Copenhagen this year, ETEN facilitated the meeting of representatives from several organisations, including STEPBible, SIL, UBS, ETCBC, Perseus, Door43 and others, to explore how much private data could be made public. This was the Davos of Bible software, and ground-breaking commitments were made there. One of the results is that STEPBible data will now remove the ND restriction. The concern that previously prevented this, was that errors might accumulate, unintentionally or even maliciously, so that the trustworthy expertise of Tyndale House scholars might be diluted. Legally, any changes should be reported, but of course this doesn’t always happen. To ensure continual trustworthyness, the original Tyndale House data will always be available in the STEPBible Repository. This includes accurate Greek and Hebrew texts with variants, tagged with vocabulary and parsing, along with simple and detailed lexicons based on academic publications, as well as other datasets analysing the Bible text. In the past, free software has relied on older data sets which did contain errors. A few years ago I was preparing for a radio debate about a controvertial book with ‘new revelations’ about the family of Jesus. The author’s conclusions turned out to result from his mixing up of two Greek words. He claimed that tekton (‘artisan’ or ‘carpenter’ in Mat.13.55; Mark 6.3) “is derived from the root Greek word ‘timoria‘” (‘punishment’). He added that Jesus’ father was ‘a just man’ (Mt.1.19) and concluded that Joseph was a justice of the peace with the power to judge and punish malefactors! He then published a book based on this ‘discovery’. The author wasn’t a biblical scholar, but he was nevertheless an intelligent man who was well trained in another profession – so how did he make this embarrassing mistake? After hunting around I traced the source of his error to the commonly distributed electronic version of Strong’s Index, which is used by most free software. Due to an uncorrected typo (‘5098’ instead of ‘5088’) it said that tekton comes from timoria. Sitting with him in the studio, before the red “broadcasting” light turned on, I quickly explained what I’d found, and said that I’d only mention it if he mentioned his ‘discovery’. This removed my killer point in the debate, and left him little to talk about, but at least it prevented his public humiliation. This experience hardened my resolve to develop accurate tools for intelligent people to rely on. Just because someone isn’t trained in Biblical Studies shouldn’t stop them studying the Bible in as much depth as they want, using information that is checked by scholars and trustworthy. This spurred me to work on STEPBible, and now to make the data available to everyone to use. Many Christian scholars from overseas who have spent time studying in the UK return to their own countries find their ministry of training others to understand the Bible frustrated. This is because the in-depth Bible Study resources, so readily available in universities in the UK, are now out of their reach – both physically and financially. This is even more frustrating when one realises that about 85% of the evangelical churches in the Two Thirds World are led by people with no theological training at all. It is a problem that I have been aware of for many years – indeed it was the inspiration behind Theology on the Web – “making biblical scholarship accessible” which led me to launch my first website in 2001. The folks at Tyndale House in Cambridge share this vision and are working hard to meet the need for biblical resources. For me it is always a pleasure to visit there and meet members of the team working on their Scripture Tools for Every Person (STEP) project. This software, now in Beta version 2.0, is already one of the most powerful original-language Bible study tools available and is intended to be made available free of charge. There are plans to add hundreds more Bible translations, secondary literature and other resources – see the slideshow here. 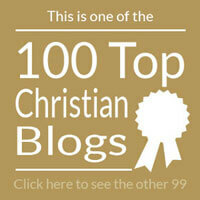 If you haven’t already visited the website – stepbible.org – I would strongly recommend that you do. Today the STEP development team of Tyndale House Cambridge launched the Beta-test version of a new free Bible study resource at www.StepBible.org. STEP software is designed especially for teachers and preachers who don’t have access to resources such as Tyndale House Library, which specialises in the biblical text, interpretation, languages and biblical historical background and is a leading research institution for Biblical Studies. The web-based program, which will soon also be downloadable for PCs and Macs, will aid users who lack resources, or who have to rely only on smartphones or outmoded computers. The project began when STEP director Dr David Instone-Brewer created the Tyndale Toolbar for his own use. It became popular among researchers at Tyndale House and is now used by thousands of people across the globe. The Beta launch of STEP invites users to try out the new tools and give suggestions for improvement. Almost a hundred volunteers worldwide have contributed to this work, including 75 who helped to align the ESV, used with the kind permission of Crossway, with the underlying Greek and Hebrew. All their work will now be freely available for other software projects. There are many exciting features in the pipeline for others to get involved with. Try it out at www.StepBible.org. The special problems of the Majority World have inspired some unique technical solutions. The whole database-driven program is designed to be downloaded onto computers as diverse as decade-old desktops and Android phones. This download, which is still being tested, enables it to continue working when internet access goes down. Ten language interfaces are available and another 83 are ready for volunteers to work on. Bibles in many languages are already present and agreements are in place with the United Bible Societies and other organisations to add hundreds more. Someone using a Swahili browser can see buttons, menus and Bibles in their own mother-tongue. Some of the features are unavailable on any other software, and the ease of use belies its extraordinary complexity. 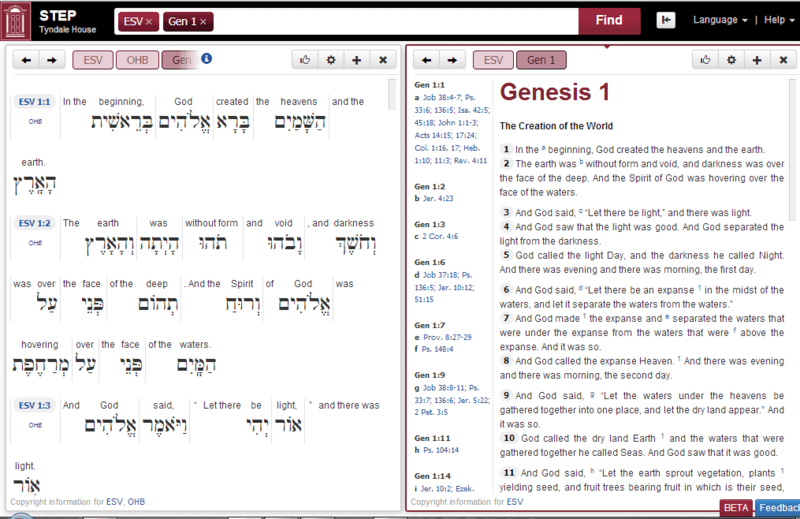 Even in Basic View you can get answers to questions like: Which other verses use the same original word found here? This works for every Bible in all the available languages without requiring knowledge of any Hebrew or Greek. In Advanced View one can see multiple interlinear texts with word-by-word alignment in English, Chinese, Hebrew and other languages. Information about grammar and dictionaries is also given at three levels so that someone wanting quick information isn’t overloaded with the complex details, which are also available.